ITGlue is a collaborative, cloud-based IT documentation platform created to help MSPs standardize documentation, create knowledge bases, manage passwords and track devices. As well as documentation, it lets you stay on top of what’s going on in your network by notifying you when key events happen, like an SSL certificate nearing expiry, or a firewall breach. 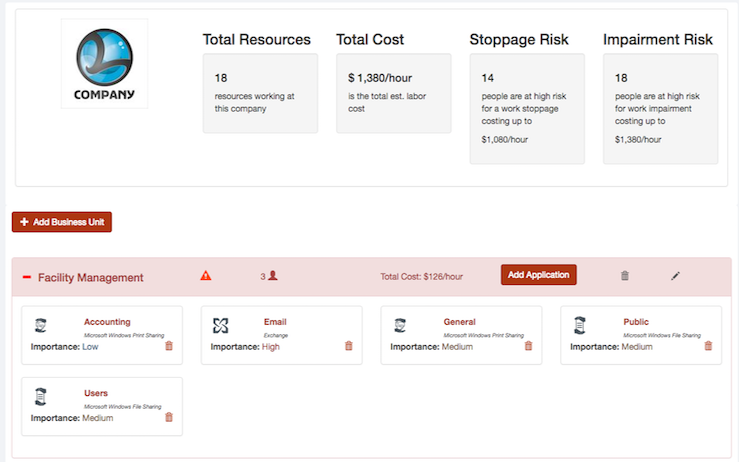 These notifications can be used to automatically run checklists inside Process Street, meaning you can assign workflows to your team that guide them through tasks like SSL renewal, and then track whether or not the task is done through your Process Street dashboard. For documented IT processes you can use in your own business, check out our free IT process pack. ITGlue makes it easy to manage documentation both internally and for clients, and helps you track assets like devices, folders, domains, and contacts. Unlike broader documentation tools like Confluence and OneNote, it’s aimed squarely at the MSP market which makes it one of the only platforms of its kind. Its usefulness and uniqueness comes at a high price, but the positives outweigh the negatives. While ITGlue is widely regarded as having the best and most powerful range of features for IT documentation, you might be looking for an alternative tool that costs less, has more Zapier automation options, or has a different set of features. In this article, we’ll offer 9 ITGlue alternatives and give you some insight into how the tools compare against each other. A Docusnap salesperson writing to a lead in reddit comments estimated that the fee would be around $100-$150 per month for a company with a client with 100 workstations, billing at $1/workstation and $3-4/server. 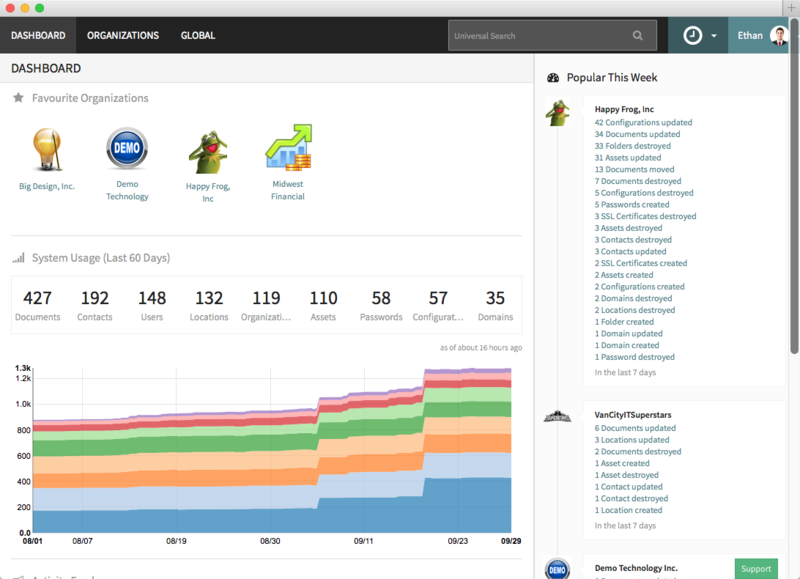 Pricing: from a one-time fee of ~$560 and then ~$25/month (limited to 50 workstations). Stella is a knowledge management and collaboration platform designed to tightly integrate with ConnectWise. Users have noted that it’s cheaper than ITGlue, allows you to give clients read/write access at no extra cost, and that it’s highly customizable when used in conjunction with Confluence. Stella is aimed at the market that’s already using ConnectWise. If that’s not you, it’s probably not the right option. 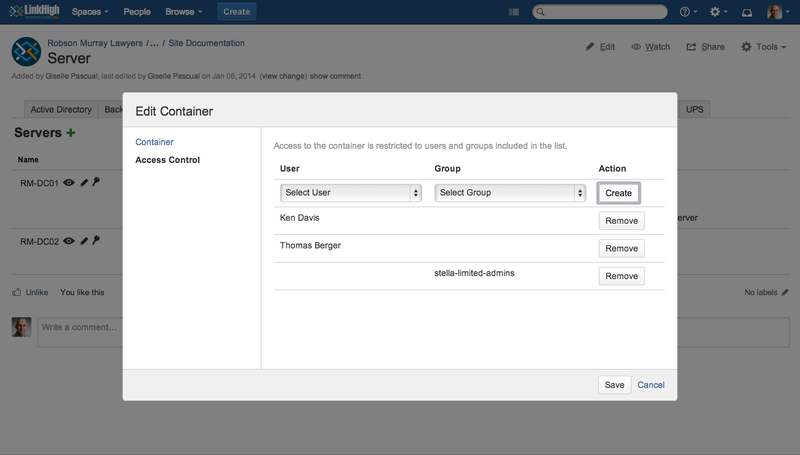 If a company isn’t already using ITGlue but needs a viable solution, they’re likely using Confluence. Confluence is a step up from paper notes or Google Drive and it’s very customizable thanks to the wide range of plugins on the marketplace, but it’s not a specialized tool like ITGlue. That means that you’ll have to use plugins and ‘roll your own’ set up. Users have said that ITGlue beats Confluence for usability, speed, permission management, password management, customer access, and documentation audits. Confluence is a great general documentation tool, and, while ITGlue outperforms it in some areas, Confluence has a deeper and more powerful search than ITGlue because it searches inside attached documentation. Also, since Confluence is self-hosted, it is more likely to pass compliance regulations than a SaaS platform. When it comes to pricing, Confluence has the edge over ITGlue for smaller teams because ITGlue’s 5-user minimum and setup costs can price some businesses out. 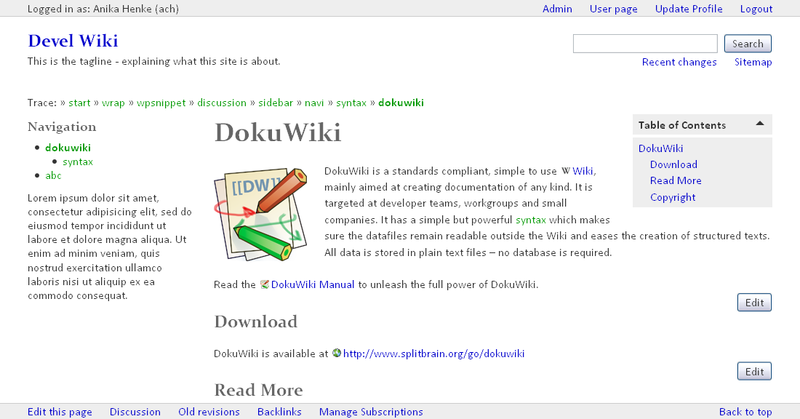 DocuWiki is a lot like MediaWiki; a self-hosted, open source Wiki platform that’s available for free and highly customizable. The same way that many businesses use the MediaWiki platform for SOPs, many IT firms cite DocuWiki as their go-to IT documentation solution. But, it’s not a full-service package by a long shot. It’s free and open-source, which is a plus, but that also comes with the hassle of setting it up, maintaining it yourself, and forgoing the cloud. Bear in mind that DocuWiki is a pure documentation tool, so it can’t do things like inventory, integrations, notifications, or reporting. As it stands, BizDox is purely a documentation and diagramming solution, missing out on some of ITGlue’s more advanced and useful features like password and access management, and notifications. 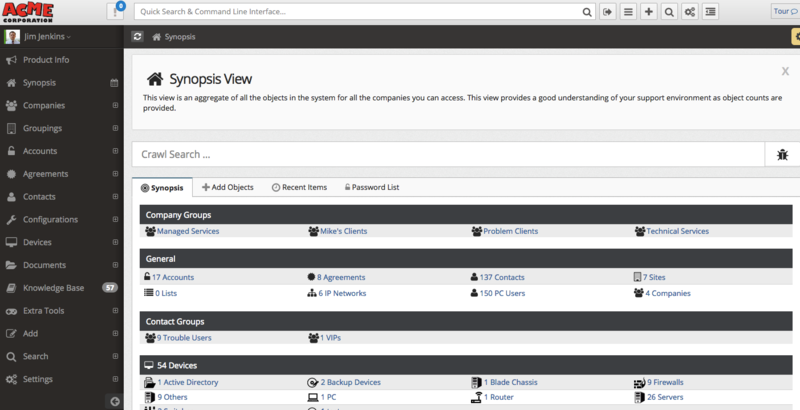 It integrates with ConnectWise out of the box, and with Active Directory via Bitium. SI Portal is one of the cheapest specialized tools on the list at only $19/user/month and a 2 user minimum. 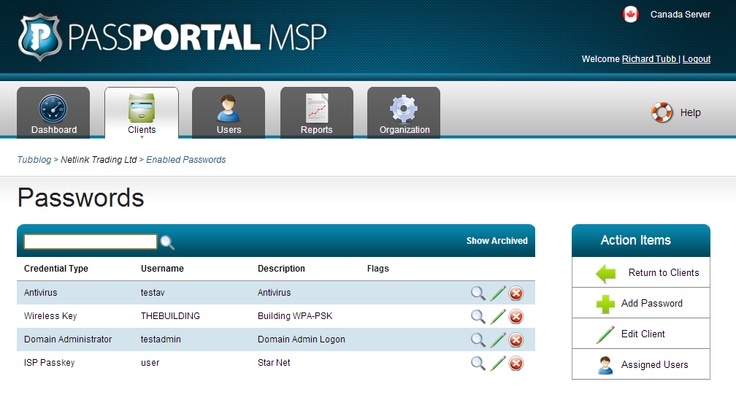 Many businesses prefer on premises solutions for compliance reasons, so SI Portal offers both a cloud and self-hosted version of its software. Pricing: starts from $19/user/month with a minimum of 2 users. OneNote isn’t a dedicated IT documentation tool by a long shot, but according to a dedicated segment of its user base, it’s a robust solution. Its cloud availability, secure access, great search and flexible document editor makes it viable alternative to some of ITGlue’s more basic features. One of the most attractive features of OneNote for most offices is its native intregrations with the rest of the Microsoft 365 suite. 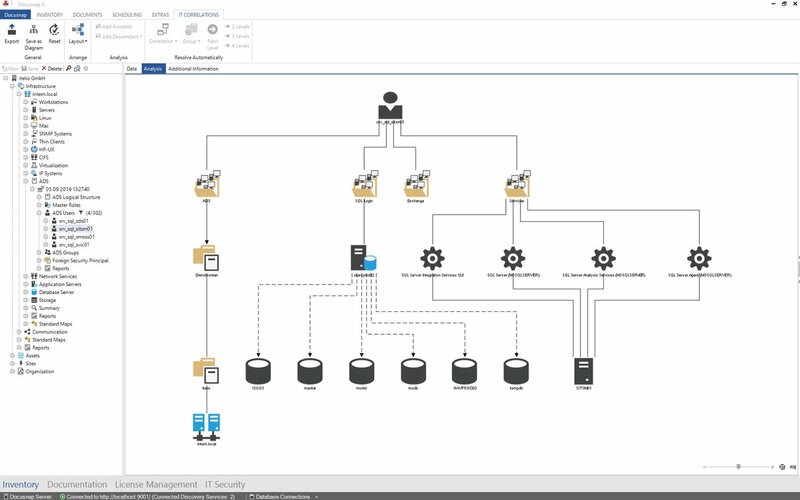 You can easily import Excel data, create diagrams and then organize it all in the Sharepoint ecosystem. However, it is missing PSA integrations, IT documentation templates, objects, and the ability to link articles, objects and passwords all together. Which ITGlue alternative should you choose? 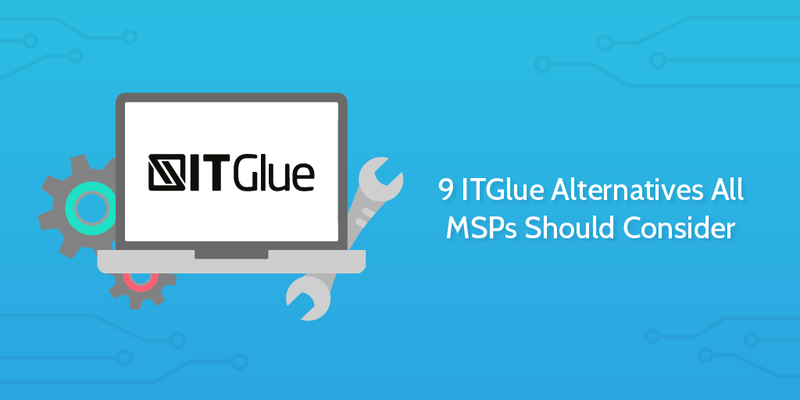 For plenty of MSPs, ITGlue is the number one solution for documentation. It comes at a high price for smaller businesses, but collects a variety of essential documentation and network management tools that you could otherwise only get by combining a number of plugins and customizing Confluence. If your business can’t afford ITGlue right now, it’s probably best to use a free tool like OneNote, something less expensive like SI Portal, or go for the DIY approach with Confluence. Which tools are you considering for IT documentation? Let me know in the comments! 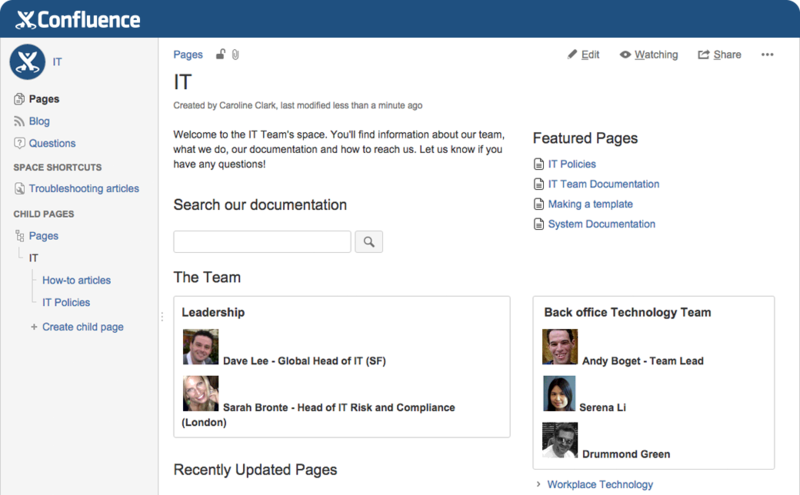 Sharepoint vs. Confluence — The Best Intranet Software? Nice article. I’ve turned to GLPI for IT documentation. The lack of english-language documentation for it isn’t great. However, it is comprehensive, feature-rich and lots of plugins. I’m using the FusionInventory plugin for instance. I’m leveraging the Knowledge Base for user and technical documentation. New to using IT Glue, but I can tell you this much – for the gain in professionalism, the consistency in being able to document all clients, having triggers and automation to make your documentation “smarter” — is well worth $150 / 5 users. If a small IT shop can’t see the value in that and gain 1 hour / month back in productivity (or upsell a client / prospect because of the catalog of knowledge)… then they probably need to close up shop and find something else to do. Nuts… forgot to pass along my IT Glue referral code – it gets us both a $100 credit when you use it at signup. A lot of users I’ve read accounts from say that ITGlue is definitely worth it over the competition. I think it’s the onboarding fee most worry about, not the monthly charge. Thanks for commenting! Great post! Thank you for the research. We are constantly on an active lookout for an IT Glue replacement. Thanks for commenting, and best of luck with the search! Are you aware of XIA Configuration? It has agentless discovery of your IT and automatically documents the configuration of your environment. 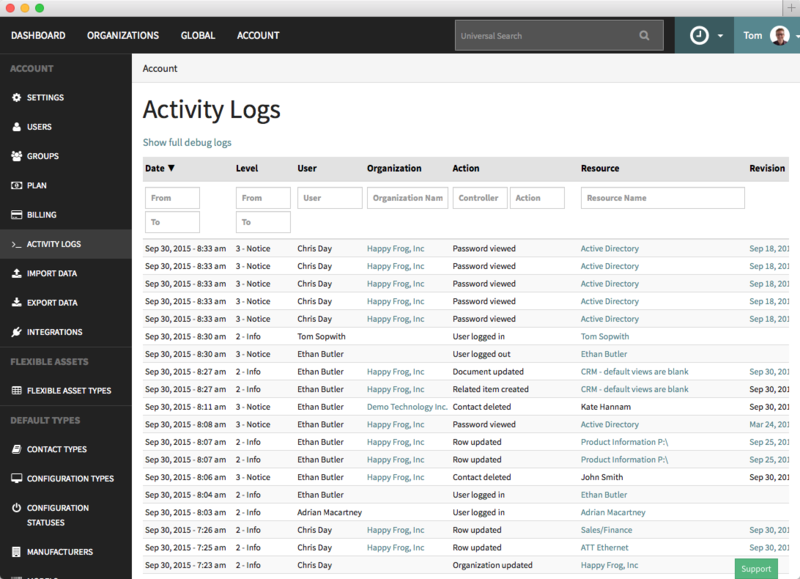 The reporting feature helps you maintain your network e.g. the SSL Certificate Report tells you how many days each of your certificates has until expiry. I’ve used Si portal for over a year at a couple companies and prefer it over Larger Corp software like IT Glue and confluence. The quick search, the indexing, and the logical layout all make sense to a technical IT engineer. Most software for documentation isn’t written by engineers for engineers, its written by a group of people who think they know best and take multiple points of interest in to factoring the design. Si Portal is written by engineers for engineers and makes complete sense. I would 100% recommend Si over most if not all products on the board. I could stand a little more customization of the interface like color and such but its a great product. Thanks so much for the insight. 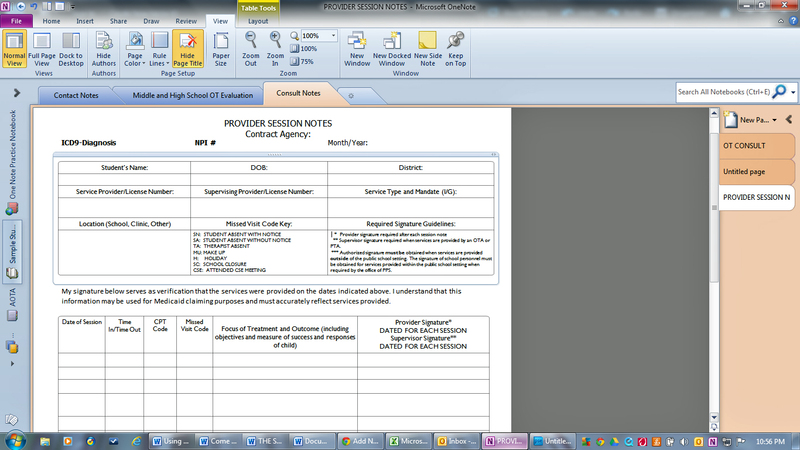 From what I’ve read since, Si Portal seems to be the clear choice for smaller orgs. Hi Ben, thanks for the great insight and run down on an age-old problem of manual afflicting MSPs. As a former MSP ourselves, we set out to tackle the problem with our Roar platform. We’ve figured out the best ways to automate the retrieval of configuration data from the dozen or so dashboards and sources that MSPs typically managed (SSL Cert Expiration, Domains, O365, Meraki, AD, MSSQL, etc.) – and track it over time for changes. We’re looking forward to making it on one of your lists soon! Thank you for your detailed list. I work at Docusnap myself and am very happy about such detailed comparisons. As a MSP ourselves, we know how much time a current IT documentation eats up. That’s why we developed Docusnap about 15 years ago. First of all for our own use. But more and more of our customers wanted to use the software themselves. That’s why we’ve been developing Docusnap ever since to support other engineers in inventory, documentation and analysis in the best possible way. You are very welcome to get your own impression of our software and test it free of charge and without obligation. In case of any further questions, please don’t hesitate to contact me.